Renting and chartering a boat are technically the same thing: you pay someone to use his or her boat. Practically, though, the two terms refer to different boating experiences. Here is what you need to know. In most cases, boats advertised as rentals are small boats or personal watercraft, and are available to rent from an hour to a day. What do you get when you rent a boat? You get the boat. You need to be your own captain and bring everything you will need for your trip—fishing gear, water sports equipment, refreshments, meals, etc. Of course there are exceptions. Houseboats, which are essentially floating RVs (Recreational Vehicles), usually are advertised as rentals, are quite large, and are typically rented by the week. There are several types of charter boats. Most are large yachts that you will live on for a week or more. There are two general types of charters; bareboat and crewed. Bareboat Charters are much like a boat rental: you pay for the boat only, and you are your own captain and crew. Most charter companies require some kind of “boating resume” to validate that you have the necessary experience to pilot the boat you want. Also, when bareboat chartering, you need to provision the boat, meaning you need to buy the food, beverages, and other items you’ll need for your journey. Crewed Charters mean that you hire the necessary captain and crew to operate the boat, provision it for meals, and do all the cooking and cleaning. Some charter companies offer modular programs. For instance, the company will provision the boat for you according to your needs and you can hire a captain or a cook for your cruise. This “pre-provisioned” option is helpful if you are chartering a boat in a foreign country where shopping for yourself might be difficult. Another type of charter experience is when you hire a boat for a specific purpose, like fishing or whale watching. 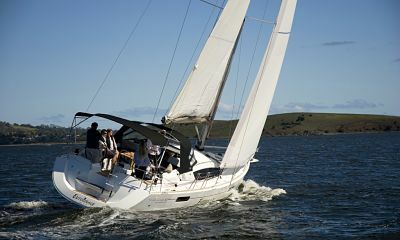 These types of charters are usually by the hour or day and are equipped with a captain, crew, meals, and refreshments. In general, deciding whether to rent or charter a boat depends on what you want to do and how long you plan to travel. If you are comfortable and have the necessary experience to be your own captain and operate the boat yourself, then renting a boat or a bareboat charter could be the right option for you. If you only want to be on the boat for a few hours or a day or two, renting a boat is probably the best option. Renting a houseboat or chartering a yacht can be a lot of fun if you will be out on the water overnight or for multiple days. It is almost like taking a cruise, but you can go wherever the wind takes you, make your own schedule, and you never have to wait in line for anything! If you have never chartered a boat before and are intimidated by the prospect of being responsible for the boat, here are some tips to make everything go smoothly. Owners and companies will help you create an itinerary that suits you and your travel needs. They know where you can safely anchor, get supplies, find privacy, or enjoy company. If you do not like the idea of anchoring through the night, you can plan an itinerary where you will always be docked at a marina. In most places where charter boats are common, marinas have deck hands that will help you dock, connect your boat to local power, and give you ideas for activities in the area. Usually, the boat owner or company is available at all times via radio or cellphone to answer questions and give advice while you are on your trip. After all, they want you to have a great time, stay safe, and operate the boat correctly while out on the water. Calling for advice or assistance is always an option. Sometimes it is even possible to have a captain shadow you on the first day, to help acquaint you with the boat and its operations. Invite your friends to share your charter with friends who also love boating. This way, you will have some experienced help on hand that will reduce the cost of the charter. There are many choices when it comes to boat rental and chartering. Fortunately, GetMyBoat makes it easier than ever to take advantage of all of these options, from renting a power boat for a day of shredding to chartering a sailboat to sail into crimson sunsets. There is no such thing as a bad day on a boat, so whatever route you choose, enjoy!